"Wild Hare Wednesday" of 2017. 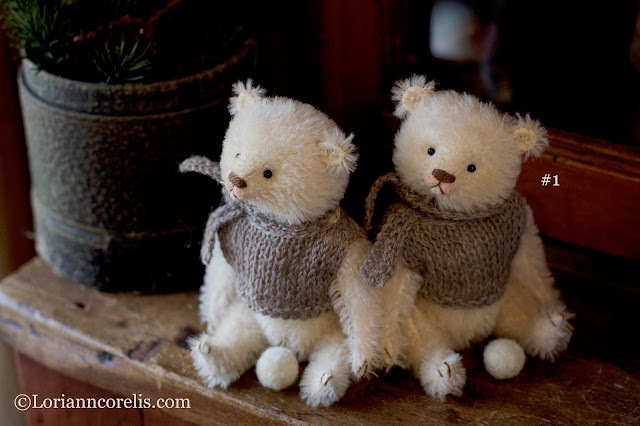 Please meet the "Snowy Brothers"
matching custom knit sweater and scarf sets. 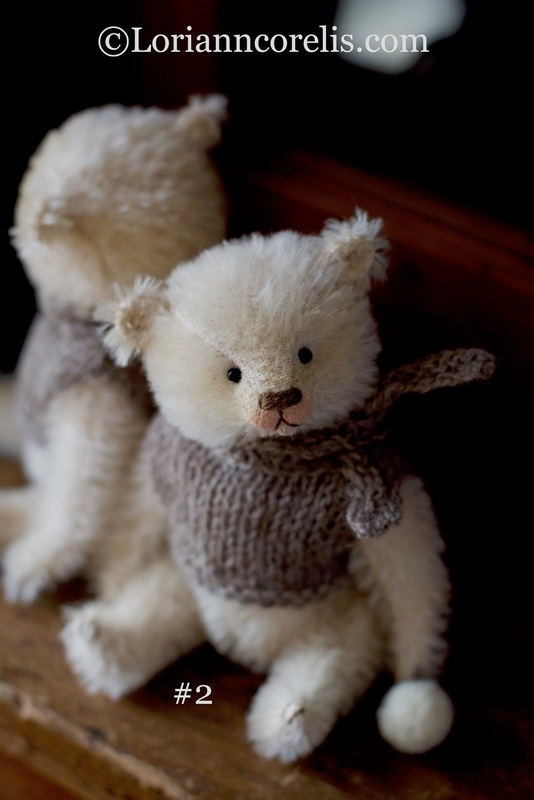 Each Teddy is 6" tall and is fully jointed and holds a wee felted snowball! Nicely weighted with steel shot to nestle into your hand! #1 I'M SOLD ~ THANK YOU! #2 ~ I'M SOLD ~ THANK YOU! Have a most lovely January and stay warm!